£2 – All Proceeds to the Red & Green Club. 42, Bankwell Road, Milnsbridge, Huddersfield HD3 4LU. The Red and Green Club at Milnsbridge, Huddersfield, is Yorkshire’s oldest surviving socialist club. 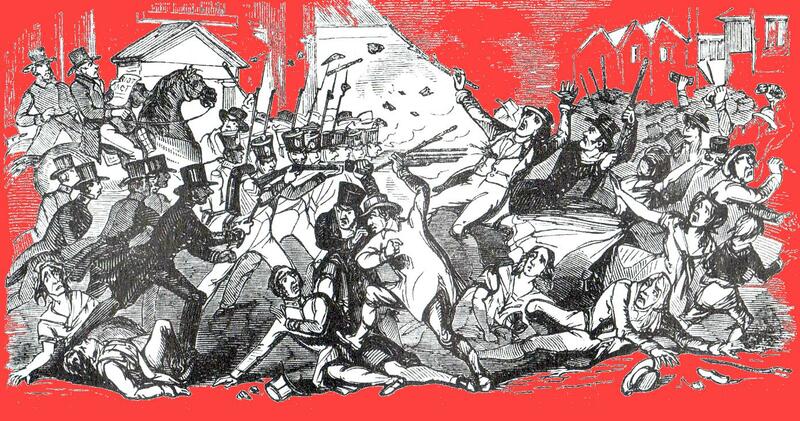 It is marking May Day this year by publication of a booklet celebrating its past, present and future. 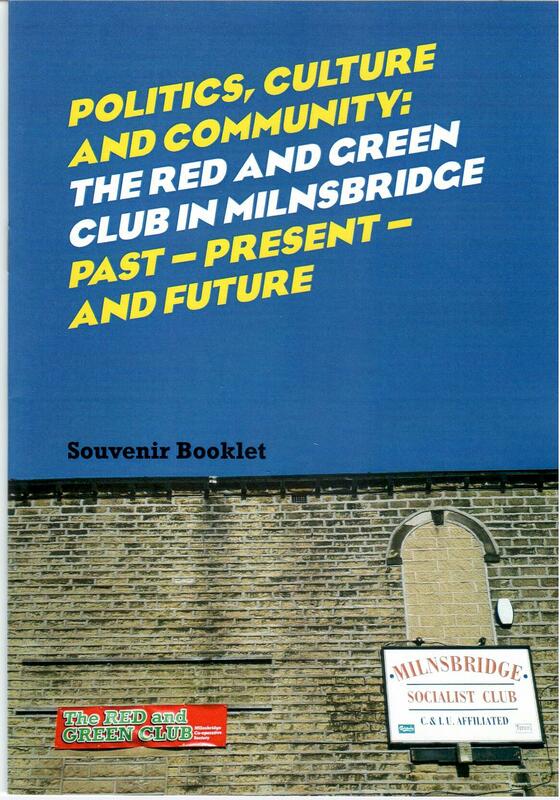 The booklet – Politics, Culture and Community: The Red and Green Club – has been written and designed by club members and printed by Milnsbridge-based printers 2M Press. The 16-page fully illustrated publication charts a remarkable history stretching back to 1892. What was originally ‘Milnsbridge Labour Club’ became Milnsbridge Socialist Club in the early 1900s and moved to the present site in 1907 – the same year that the left-wing socialist Victor Grayson was elected MP for the Colne Valley. Grayson, as well as Keir Hardie, Emmeline Pankhurst and other famous radical politicians of the day spoke at the club. Harold Wilson was born in Milnsbridge (Cowlersley) and visited after becoming prime minister in 1964. The co-operative is aiming to buy the building from its previous owners and received a major boost recently when rail union TSSA agreed to invest £40,000 in the building. The club is running regular events which include monthly poetry sessions, live music, political discussions and – coming soon – a monthly film night. The booklet will be launched at the Red and Green Club annual general meeting on Thursday May 1st. It is available price £2.95 including postage from the club (cheques payable to ‘Milnsbridge Society Ltd.) at 42 Bankwell Road, Milnsbridge, Huddersfield HD3 4LU. This is a brilliant initiative which deserves the full support of everyone who values our working class heritage and wishes to see that culture revitalised in the area. ALBERT TARN – Huddersfield’s Son of Anarchy. HUDDERSFIELD NATURALISTS, MOTHS AND MELANISM. What Have the Romans Ever Done for Us ? THE REVOLUTION IN ROJAVA – Documents and Debates. The Second Annual Luddite Memorial Lecture – a brief review. ‘Land and Labour’ Huddersfield Book Launch. Imperial War Museum Lives of the First World War.